Oh, how we love summer. Not just for the warmer temperatures and sunny skies, but for everything else that comes with it, like beach days, long weekends, fresh fruit, iced coffee, chic summer fashion, and sun-kissed skin. As for the latter, we love when we see our complexion looking radiant and healthy in peak post-vacation style—you know, that "I just spent a month in the Maldives" sort of glow that we usually need some well-placed bronzer to achieve. (Speaking of bronzer, I've been loving Anastasia Beverly Hills Powder Bronzer, $28, since it's lightweight, blendable, and flawlessly fakes a mid-summer tan). But being in the sun more often means we must bump up our skincare routine to meet new needs. Sunscreen is paramount, as always, but we also like to invest in after-sun lotion to soothe, calm, and treat any sun-ravaged spots. After all, the sun can take a toll on your skin, whether you're consistent with sunscreen or not, and it could always benefit from a little extra TLC in the form of reparative after-sun skincare. (That's why I apply after-sun products to my skin even if it's not burned. The cooling and calming formulas feel good on any sun-soaked skin.) If you do suffer a sunburn, though, that extra TLC is necessary. So without further ado, check out 14 after-sun products to add to your product lineup. They'll keep your summer skin cool, comfortable, and happy. 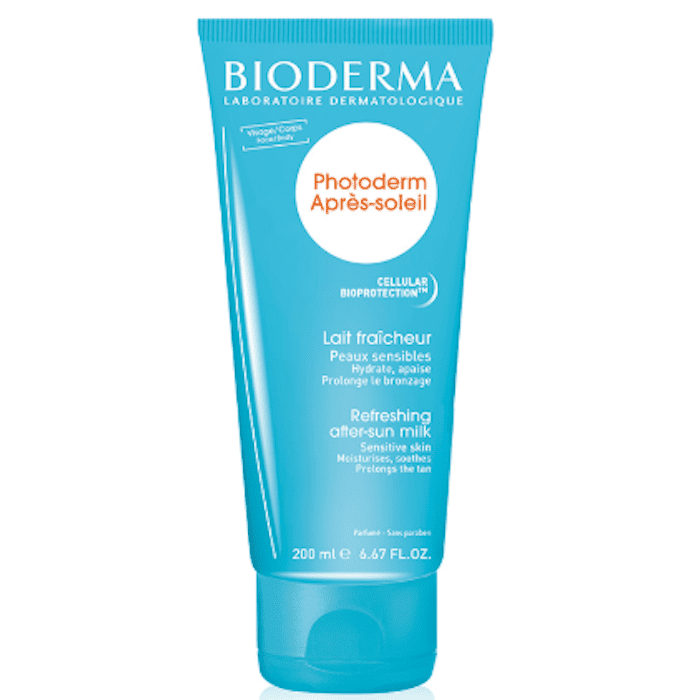 This after-sun lotion is from the French pharmacy brand Bioderma, which makes makeup artist-favorite products like the Sensibio H2O Micellar Water ($11). 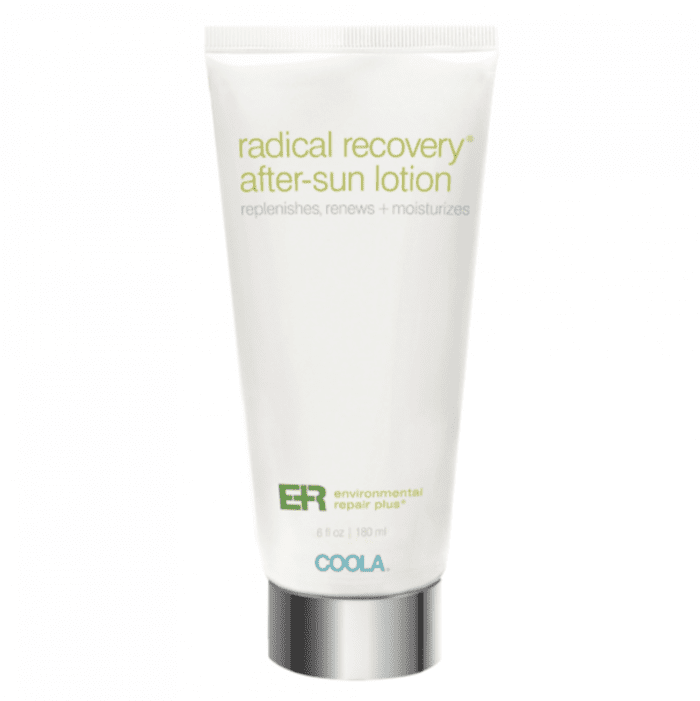 It has shea butter and ginkgo biloba to rehydrate and soothe sunburned skin. Apply it once a day during long periods of sun exposure to keep the skin cool, calm, and refreshed, or apply it post-sun to soothe mild sunburns. It's great for restoring the skin's missing softness and suppleness. 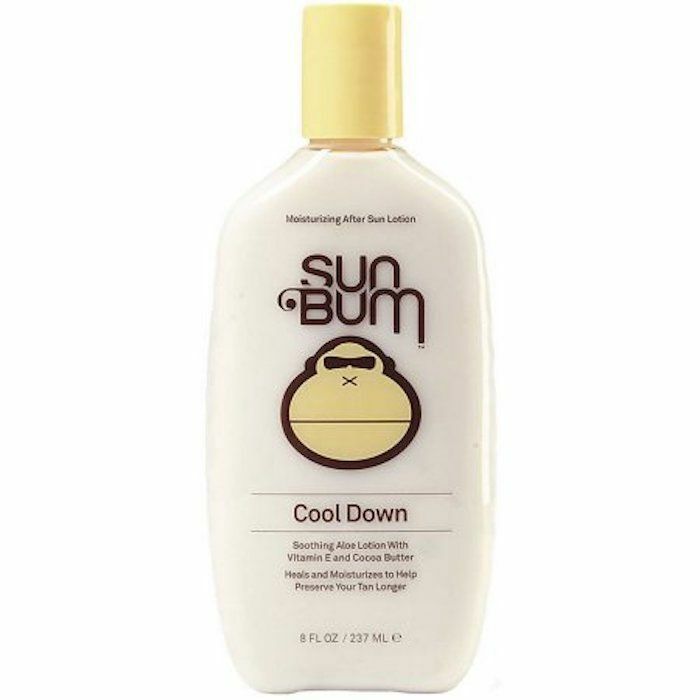 Sun Bum is a classic sunscreen brand. All of its products smell like summer, but more specifically like a mix of banana, coconut, and sunshine. But I digress. 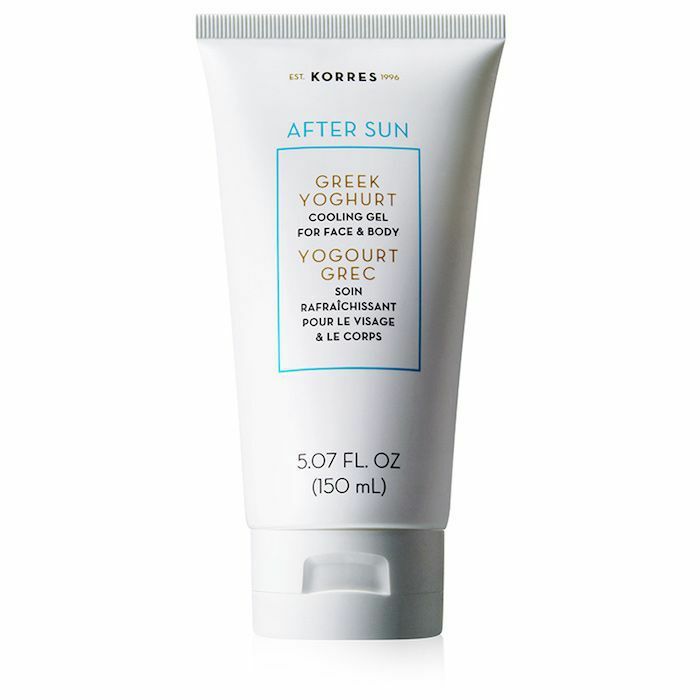 This after-sun lotion has aloe, jojoba oil, cocoa butter, and vitamin E to soothe the skin and provide it with essential hydration. We like that it's vegan, cruelty-free, and coral reef–friendly. 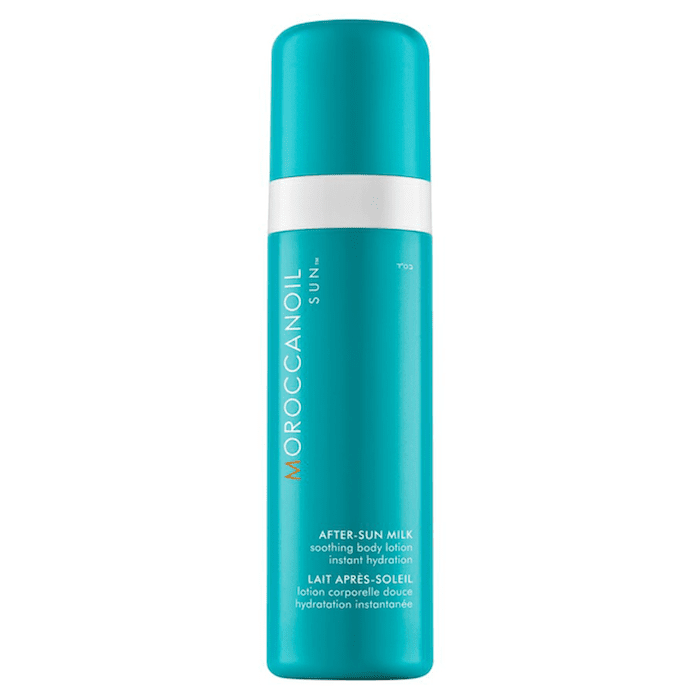 Moroccanoil's after-sun lotion is loaded with aloe, argan oil, and vitamin E. It even has coconut and passionfruit oils, along with a lightly fragrant tropical fragrance. It promises to target dryness and dullness and extend the life of your tan. We've been fans of it for awhile. For proof, check out one editor's full glowing review. 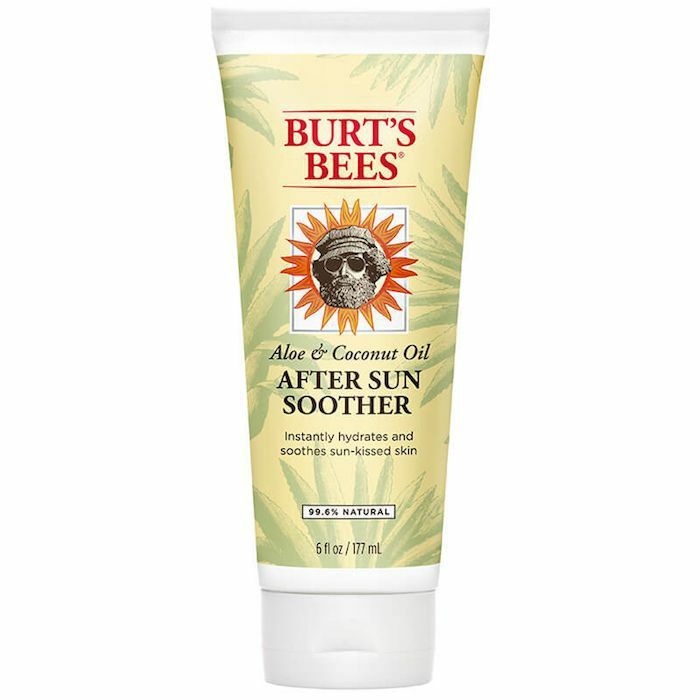 One of our favorite drugstore brands, Burt's Bees, formulates this after-sun lotion with linden and aloe to soothe skin and bee pollen and glycerin to moisturize and nourish. It's a fan favorite. 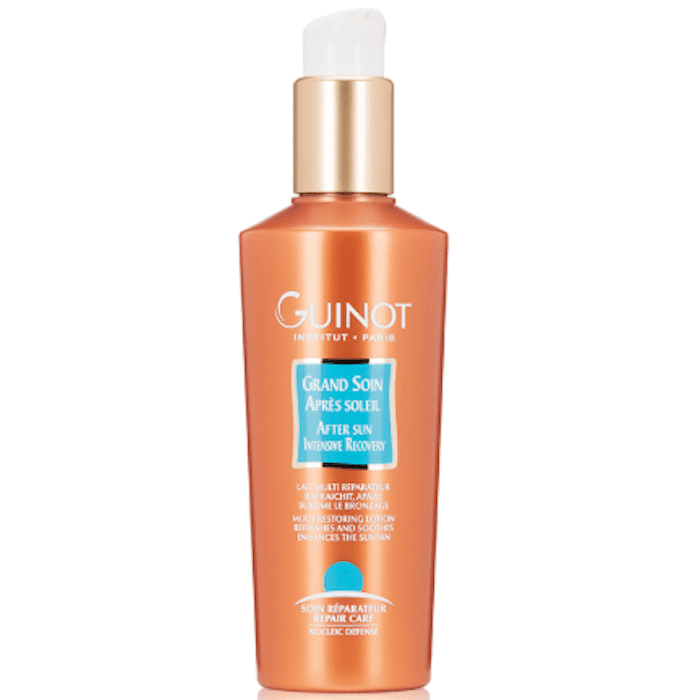 Take it from one reviewer, who writes "This after-sun soother is the best! After years of trying to find an after-sun moisturizer that doesn't make you feel like you've just rolled out of a pool of butter, I found this initially at our grocery store. After a day of boating and a nice shower, this lotion makes you feel so refreshed. It is cooling on the skin, absorbs quickly, and the moisturizing effects last until your next shower." This luxurious lotion contains tiny light-reflecting particles of mica to enhance the look of the skin with extra radiance (which is helpful if you didn't get your hands on Rihanna's new body highlighter before it sold out). But it's not just about improving the look of skin from the outside, as it also packs a serious skincare punch with ingredients like vitamin E, shea butter, and olive esters. 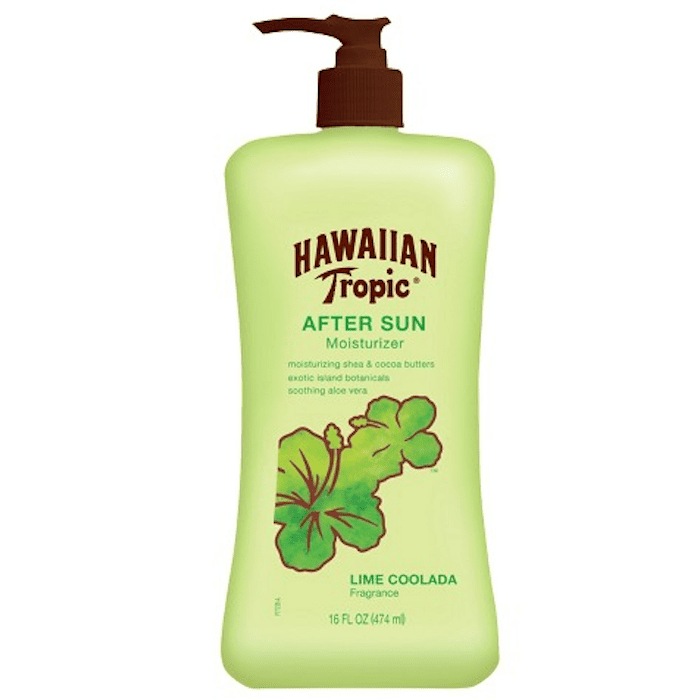 Hawaiian Tropic is a classic. We've seen it in drugstore aisles for as long as we can remember, but this after-sun moisturizer is a little different than traditional formulas. For one, it smells like a refreshing lime-based cocktail (who doesn't want to smell like that?). Second, it's vitamin-enriched to replenish and hydrate skin that's been exposed to drying wind, water, and sun. For being only $7, it's incredibly well-reviewed. "I bought this, as it was recommended by my sister who has sensitive skin. I got really sunburnt after a day at the beach, and I'm a redhead with fair skin (so you can only imagine how red I was). This is the only stuff that worked! It didn't irritate or burn my skin more than it already was from the sun. The rich texture is moisturizing, however, you will have to wait for it to sink into the skin. I have already gone through half the bottle and will be repurchasing it without a doubt!" 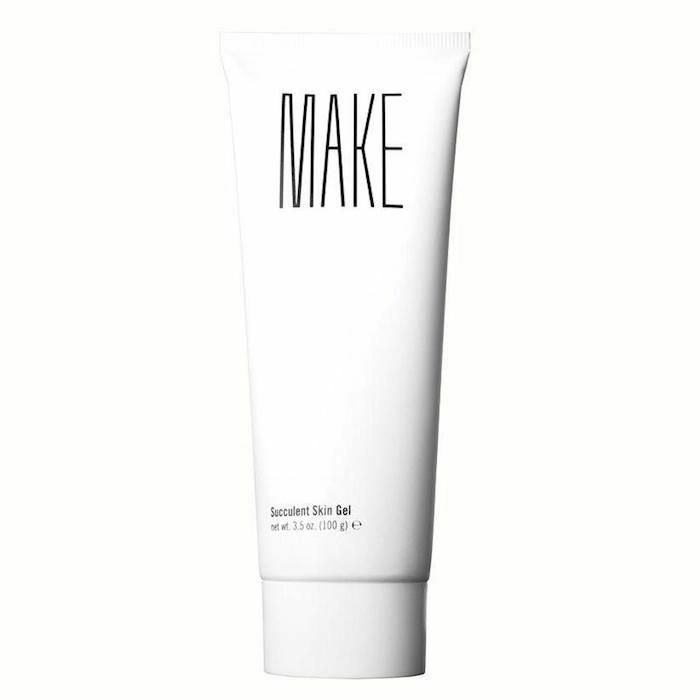 Next we have Make's Succulent Skin Gel, which is vitamin- and antioxidant-rich to comfort, soothe, and repair skin. Its star ingredient is cactus extract, which is rich in amino acids, antioxidants, and anti-inflammatory properties (which is why it's a post–sun exposure favorite). Other ingredients include aloe, prickly pear, chamomile, and calendula. It's basically cooling, calming, and amazing. This one is specifically formulated for red, irritated, and sunburned skin (i.e., it's perfect for anyone who forgot to apply sunscreen). It uses natural agave to bind moisture to the skin while simultaneously defending against pollutants. The brand lauds agave for being clinically proven to improve skin condition and provide sunburn relief. 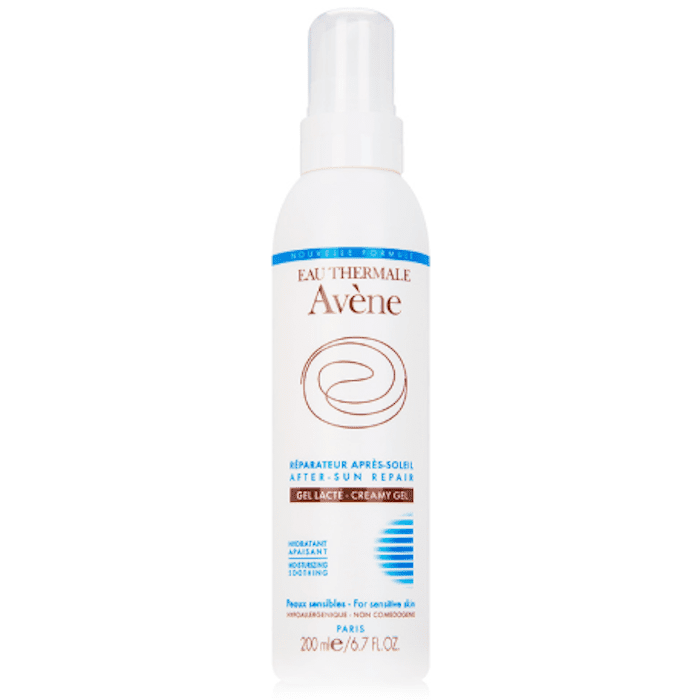 The base of this product is Avene's famous thermal spring water, which gives an immediate cooling effect to the skin. Other ingredients like ceramides, plant sterols, and fatty acids are then added to repair the skin's natural barrier and provide much-needed moisture. You can apply it directly after sunbathing or after showering (or both). 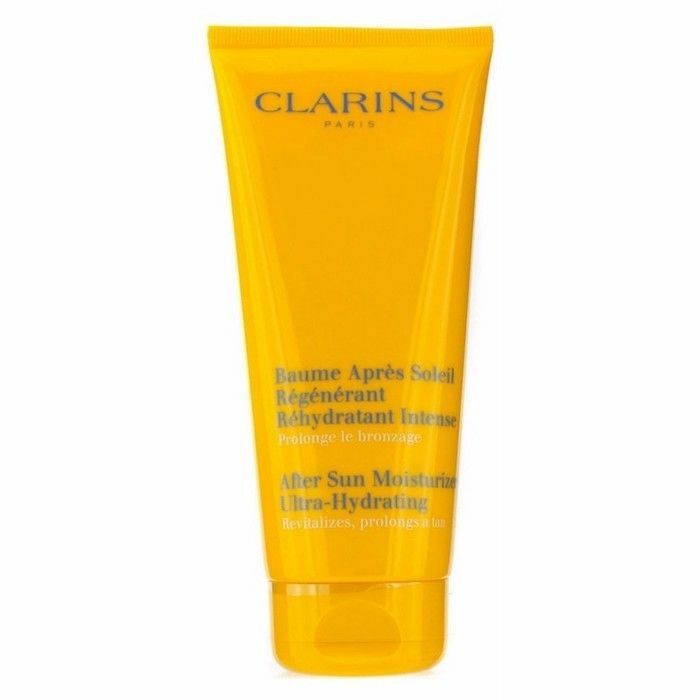 If you're a couple of days post-sunburn and you fear that the dreaded peeling is starting, then reach for this Clarins pick. It's a rich moisturizer that resists flaking. It's a fan-favorite product—just look to reviews like this: "This hydrating moisturizer specifically made for sun exposure is so rich and creamy and nicely soaks into the skin, leaving it feeling adequately moisturized after sunbathing. I used it while on a trip where I spent several days at the beach, and it helped my skin feel so much better after spending several days outside in the sun. Would be great any other time as well. I highly recommend this product!" 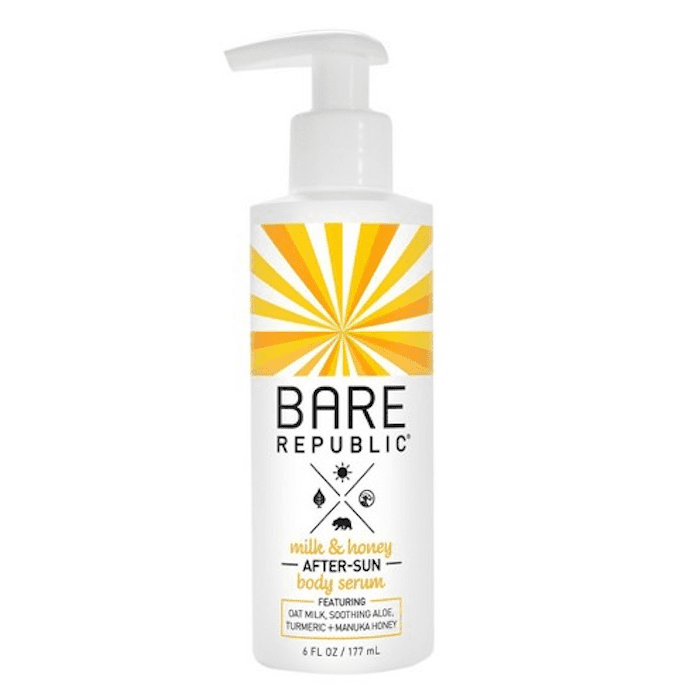 Bare Republic's after-sun body serum is free of synthetic colorants, fragrance, and parabens. It's also cruelty-free. It uses active-grade manuka honey and oat milk to soothe skin and is packed to the brim with antioxidants thanks to ingredients like turmeric, carrot oil, meadowfoam, calendula, hemp seed oil, and melon extract. 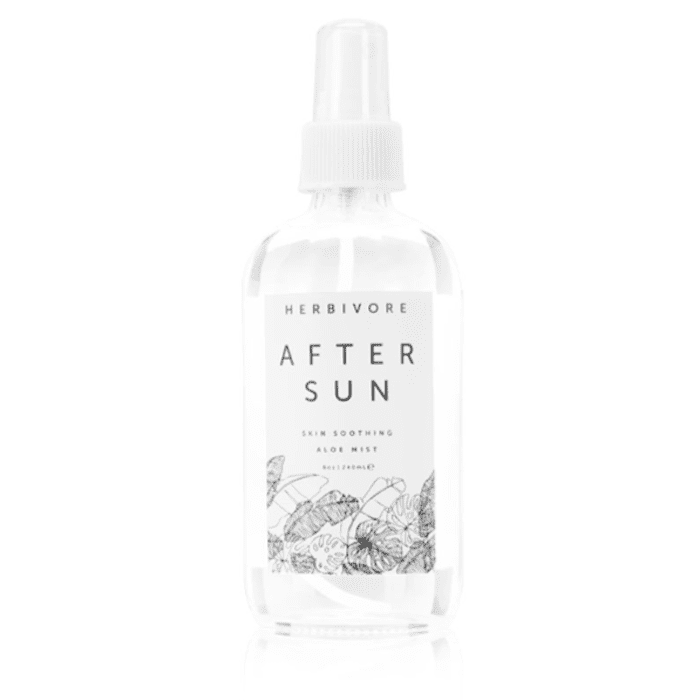 Okay, so this Herbivore Botanicals product isn't technically an after-sun lotion, but it still deserves an honorable mention. It has aloe, mint, and peppermint to cool and alleviate inflamed skin. It's one of those skincare products that we basically hoard throughout the summer season to use on both our face and bodies. Loli Beauty is an organic brand that uses only food-grade ingredients. (You can read a full review of the brand's top-selling products here.) This Aloe Blueberry Jelly was my all-time favorite. It's lightweight, hydrating, and cooling. It saved my skin after a rogue April sunburn, which is why it's another product worthy of an honorable mention. Now that you know the after-sun skincare products you need to pack in your beach bag, check out 17 vegan hair products that will protect your strands all summer long.